Western Canadian farmers should deliver certain wheat varieties before July 31 or risk getting a lower price. Starting Aug. 1, 25 wheats in the Canada Western Red Spring (CWRS) class and four in Canada Prairie Spring Red (CPSR), move to the Canada Northern Hard Red (CNHR) class (see variety list at bottom). 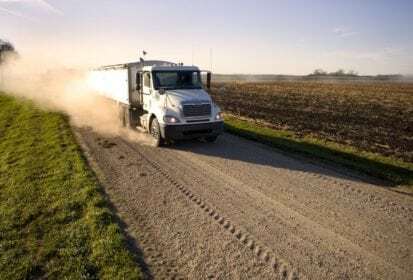 The change, aimed at improving end-use quality of the classes, was announced in 2015 by the Canadian Grain Commission (CGC) following industry consultations. Wheats in the CWRS class usually earn a higher price per tonne than wheats in other classes. “The message is farmers should do everything they can to deliver these (CWRS) varieties before Aug. 1 because as of Aug. 1 officially they are going to change classes,” Western Grain Elevator Association executive director Wade Sobkowich said in a phone interview June 8. Farmers who declare a wheat delivered after July 31 as in the CWRS class, even though it moved to CNHR, face financial penalties. Farmers with these undelivered varieties should contact their grain buyer right away, Sobkowich said. “Farmers who have a contracted delivery date after Aug. 1 for a transitioning variety should contact their elevator or grain buyer as soon as possible to ensure their grain will be accepted as CWRS or CPSR,” the Manitoba, Saskatchewan and Alberta wheat checkoff farm groups said in a news release June 4. That Dec. 31 deadline allows companies to pay farmers CWRS prices until July 31, Sobkowich said. Five months isn’t much time though, Sobkowich said. Harvest, Lillian and Unity are among the 25 CWRS varieties moving to CNHR. A few years ago those wheats accounted for 43 per cent of Western Canada’s CWRS wheat plantings, Beswitherick said. However, last year they made up just three per cent. The percentage is even lower in Manitoba. Too few acres of Lillian, Unity and the other wheats on the list were grown here last year to show up in public crop insurance records. Just over 100 Manitoba crop insured farms grew Harvest on 36,891 acres in 2017, making up 1.6 per cent of total insured CWRS acres. According to the CGC’s Grain Varieties by Acreage Insured Report, 491,108 acres of wheats designated for the CNHR, including Harvest, Lillian and Unity, were grown in Western Canada in 2017, wheat checkoff groups say. “While the reclassified varieties are still registered and can be grown, we strongly recommend that farmers arrange their marketing options for these varieties prior to future plantings,” Manitoba Wheat and Barley Growers Association chair Fred Greig said. The following CWRS wheats move to the CNHR class Aug. 1, 2018: AC Abbey, AC Cora, AC Eatonia, AC Majestic, AC Michael, AC Minto, Alvena, Alikat, CDC Makwa, CDC Osler, Columbus, Conway, Harvest, Kane, Katepwa, Leader, Lillian, McKenzie, Neepawa, Park, Pasqua, Pembina, Thatcher, Unity, 5603HR. The following CPSR wheats move to the CNHR class Aug. 1, 2018: AC Foremost, AC Taber, Conquer, Oslo.